From Nature to Chitosan and It Derivatives: How it is Working? Currently, lots of medical applications are investigated by using natural biopolymers such as polysaccharides. In this field chitosan is probably one of the most employed polysaccharides possessing very high pharmaceutical potential due to its chemo-physical and biological properties. The recent progresses in chemistry and biotechnologies apply to chitosan such as chemical and enzymatic modification allowed us to synthesize lot of biodegradable and biocompatible chitosan derivatives with huge impact in antimicrobial area. This present opinion describes the most widely described strategies for generate antimicrobial chitosan and derivatives by chemical/enzymatic structural macromolecular modification. 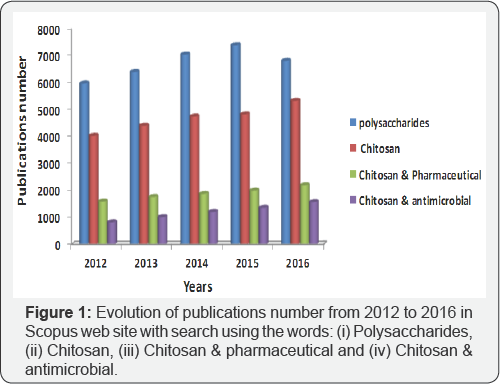 If we take a look on Scopus website from the last 5 years, we could see that chitosan and its chemical/enzymatic derivatives are ranked in one of the first bio-polysaccharide described for pharmaceutical applications. As for example, in 2012 using “chitosan” and a combination of “chitosan and pharmaceutical” we found, respectively, 4027 and 1588 publications whereas for 2016 we found respectively, 5327 and 2289. The continue evolution of publications on this very interesting topic between 2012 and 2016 is presented in Figure 1. Generally speaking, this incredible bioactivity is possible due to the very particular macro-structure of chitosan which is the unique highly basic and cationic polysaccharide derived from alkaline N-deacetylation of chitin (Figure 2). After cellulose, chitin which is made-up of a β-(1,4)-2-acetamido-2-deoxy- D-glucose repeating units structure is the most abundant polysaccharide in the world found in fungal mycelia, insect cuticles, mollusks and crustacean shells . As reported in literature [2,3] around 1000 tons/years of chitin is produce all over the world. 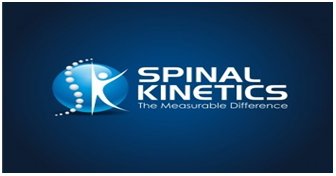 Chitin is generally composed of high amount of N-acetylglucosamine groups (up to 90%mol) whereas chitosan contains around 40%mol of N-acetylglucosamine groups . Contrary to chitin and cellulose, chitosan is very soluble in acid solution according to its low degree of N-acetylation. It is a highly biodegradable, biocompatible, renewable and environmentally non-toxic polysaccharide. Therefore, chitosan is largely employed in solution or material as bioactive molecules in lot of applications such as for example: anti-oxidant agent, anti- tumoral agent, drug delivery agent, tissular regenerating agent and anti-microbial [1,2]. Moreover, due to its reactive groups such as hydroxyl (-OH) and amine (-NH2), several modifications/ grafting have been largely described the last decades in order to build new generations of bioactive chitosan derivatives such as: acylated carboxyalkylated, hydroxyalkylated, phosphorylated, sulfated, thiolated, alkylated, trimethylated, etc. polysaccharides (Figure 3). All these specific modification coupled or not with depolymerization of chitosan derivatives (by enzymatic and chemical processes) were carried out to improve and highly modulate the native physico-chemical and biological properties . As a general rule, the biological activities described in literature for all these chitosan derivatives are related to a broad range of structural parameters as solubility, molecular weight, global charge (cationic/anionic ratio), acetylation degree, etc. These chemical/enzymatic processes allowed generating new antimicrobial biomolecules as related in the following paragraph. (v)	The specific precipitation/agglutination of bacteria with chitosan. Generally; lot of authors shown that the specific microbial inhibition caused by chitosan treatment is the consequence of molecular processes leading to microbial cell inhibition and death. Very recently, the news advances using chitosan as antimicrobial supported material are the synthesis of new generation of functionalized biomaterial made up of chitosan with antibiofilm and antimicrobial agents. In this context, works presented by Elchinger et al. [9,10] were very interesting since for the first time, protease such as neutrase, proteinase K, and alcalase were immobilized in chitosan film in order to propose to the scientific community novels highly efficient antibiofilm material with very good adhesives properties against nosocomial infecting microbial agent such as Listeria monocytogenes, Pseudomonas aeruginosa and Staphylococcus aureus. Mati-Baouche N, Elchinger PH, De Baynast H, Pierre G, Delattre C, et al. 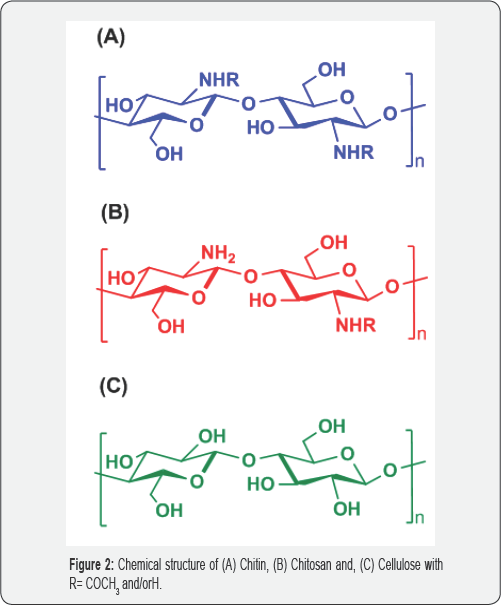 (2014) Chitosan as an adhesive. Eur Polym J 60: 198-213. Laroche C, Delattre C, Mati-Baouche N, Salahd R, Violeta Ursu A, et al. 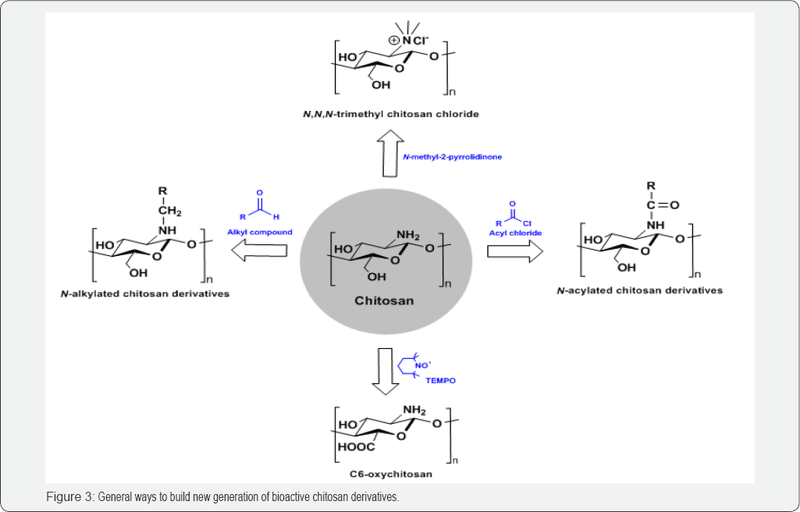 (2017) Bioactivity of chitosan and its Derivatives. Curr Org Chem, Volume 21, in press. Kurita K (2006) Chitin and chitosan: Functional biopolymers from marine crustaceans. Marine Biotechnol 8(3): 203-226. Peter MG, Kegel G, Keller R (1986) Structural studies on sclerotized insect cuticle. In: Muzzarelli, Jeuniaux, Gooday (Eds. ), Chitin in Nature and Technology, Plenum Press: New York, USA, pp. 21-28. Chung YC, Kuo CL, Chen CC (2005) Preparation and important functional properties of water-soluble chitosan produced through Maillard reaction. Bioresour Technol 96(13): 1473-1482. Omura Y, Shigemoto M, Akiyama T, Saimoto H, Shigemasa Y, et al. (2003) Antimicrobial Activity of Chitosan with Different Degrees of Acetylation and Molecular Weights. Biocontrol Sci 8(1): 25-30. Upadhyaya L, Singh J, Agarwal V, Tewari RP (2013) Biomedical applications of carboxymethyl chitosans. Carbohydr Polym 91(1): 452466. Xu T, Xin M, Li M, Huang H, Zhou S, et al. (2011) Synthesis, characterization, and antibacterial activity of N,O-quaternary ammonium chitosan. Carbohydr Res 346(15): 2445-2450. Elchinger PH, Delattre C, Faure S, Roy O, Badel S, et al. (2014) Effect of proteases against biofilms of Staphylococcus aureus and Staphylococcus epidermidis. Lett Appl Microbiol 59(5): 507-513. Elchinger PH, Delattre C, Faure S, Roy O, Badel S (2015) Immobilization of proteases on chitosan for the development of films with anti-biofilm properties. Int J Biol Macromol 72: 1063-1068.